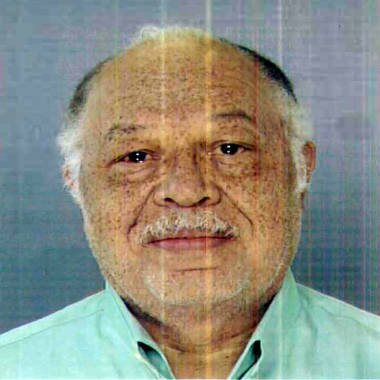 Dr. Kermit Gosnell in an undated photo released by the Philadelphia District Attorney's office. PHILADELPHIA -- Three years after drug agents searching a suspected "pill mill" at a West Philadelphia clinic instead found a medical "house of horrors," an abortion doctor is going on trial on eight counts of murder. Gosnell, who has pleaded not guilty, saw himself as a medical missionary in the blighted neighborhood where he worked and lived for 40 years. His Women's Medical Center treated the poor, immigrants, teens and women with late-stage pregnancies who could not get abortions elsewhere. "I feel in the long term I will be vindicated," Gosnell told the Philadelphia Daily News in a March 2010 interview, a month after the federal drug raid. "I aspire to perfection, certainly for my patients." But some of those patients were left with infections, perforated bowels and other injuries after barbaric abortions were performed by untrained, unlicensed staff, according to numerous lawsuits and a lengthy 2011 grand jury report. And 41-year-old Karnamaya Mongar lost her life there in 2009. Jury selection starts Monday in the death penalty case. All but one of the nine clinic workers arrested with Gosnell have pleaded guilty, three of them to third-degree murder, which carries a potential 20- to 40-year prison sentence. Unlicensed doctor Steven Massof of Pittsburgh told the grand jury that he used scissors to snip the spines of more than 100 babies born alive. He worked for Gosnell for a few hundred dollars a week. He pleaded guilty to third-degree murder in the deaths of two babies allegedly stabbed by Gosnell while Massof assisted with the abortions. Gosnell's third wife, Pearl, a cosmetologist, pleaded guilty to performing an illegal, late-term abortion and other charges. She does not have to testify, but other co-defendants have said they would. It's not clear if Gosnell plans to testify, because a gag order has been issued in the case. But it's possible, given his posture in the Daily News interview. "Many times people have not been able to fully pay me for my services," Gosnell said. "As a principle, I have not refused to provide them care." Yet he made millions over the years, both from abortions and a thriving side practice where staffers allegedly dispensed his pre-signed prescriptions for OxyContin, Percocet and other highly addictive painkillers. Related federal drug charges await Gosnell after the murder trial, which is expected to last several weeks. Opening statements are scheduled for March 14. It's not clear if Pennsylvania jurors have ever been asked to send a man of Gosnell's age or occupation to death row. Philadelphia District Attorney Seth Williams called Gosnell's macabre medical clinic — where agents found fetal body parts in glass jars and staff refrigerators, and patient rooms filthy and blood-stained — a "house of horrors." "Dr. Gosnell is never going to get the death penalty," defense attorney Jack McMahon said early on, noting his client's age and the cost of protracted capital cases. The gag order now prevents McMahon from commenting about the case. But he met with Gosnell at the courthouse on Thursday, with prosecutors and the trial judge nearby, in what some viewed as late-hour plea discussions. Mongar's family has a civil suit pending over her death. The 4-foot-11 woman from Bhutan — who did not speak English — died after allegedly receiving lethal doses of sedatives and painkillers from Gosnell's untrained workers. She and her husband and three children had survived 20 years in refugee camps before settling in rural Virginia. She was referred to Gosnell's clinic to seek a second-term abortion. Medical technician Sherry West, during her plea to third-degree murder and other charges, admitted she may have administered drugs to Mongar while Gosnell was off-site. "She's very sorry about the death of that young lady," defense lawyer Michael Wallace said after her plea. "She got caught up in a series of things that probably she did not realize the significance of."